Porifera, or sponges, are multicellular organisms which have bodies full of pores and channels allowing water to circulate through them, consisting of jelly-like mesohyl sandwiched between two thin layers of cells. Sponges do not have nervous,digestive or circulatory systems. Instead, most rely on maintaining a constant water flow through their bodies to obtain food, oxygen and remove wastes. The mesophyl in the sponge functions as an endoskeleton, and is the only skeleton in soft sponges that attach to hard surfaces like rocks. The mesohyl is toughened by mineral spicules, by spongin fibers or both. there is a possibility that spicules can be made of silica or calcium carbonate, and differ in shape. Spicules are produced specific cells, and may be separate, connected, or joined. Some sponges also release their exoskeletons that lie completely outside themselves. The calcareous sponges of class Calcarea are members of the animal phylum Porifera, the cellular sponges. 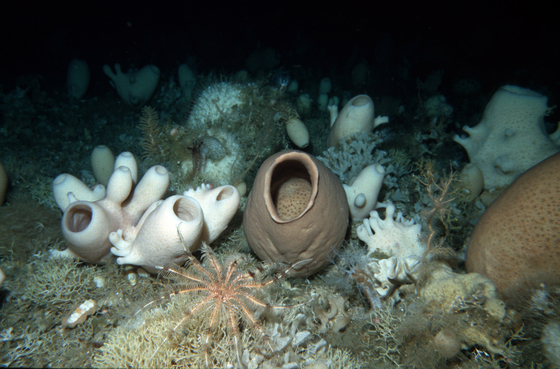 Calcareous sponges vary from radially symmetrical vase-shaped body types to colonies made up of lots of thin tubes. The skeleton has either a mesh or honeycomb structure. This is an example of the honeycomb structure of the cercarea sponge. they evident holes throughout it make it easier for water circulation. thus making it capable for this sponge to survive. Hexactinellid sponges are sponges with a skeleton made of four or six pointed siliceous spicules, often referred to as glass sponges. Glass sponges are uncommon and are mostly found at depths from 450 to 900 metros into the water.They are found in all oceans of the world, although they are normally found in Antarctic waters. They are more-or-less cup-shaped animals, ranging from 10 to 30 centimeters in height, with sturdy internal skeletons made up of fused spicules of silica. The body is relatively symmetrical, with a large central cavity that, in many species, opens to the outside through a sieve formed from the skeleton. Unlike other sponges, they tend to be alone , rather than forming large populated colonies. 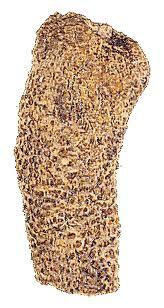 The Demosponge is the largest class in the phylum Porifera. Their skeletons are made of spicules consisting of fibers of the protein sponge, the mineral silica, or both. They have a different shape than the glass sponge. These sponges are commonly known for being large. they can reproduce both sexually and a sexually.